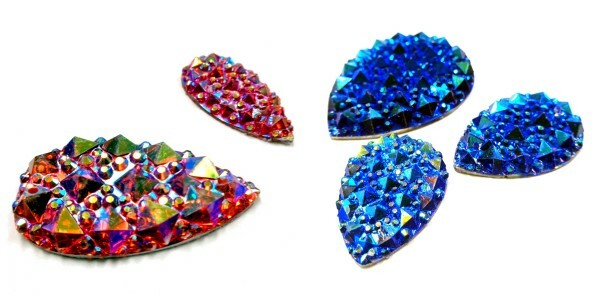 New Resin Fashion Embellishments – You are Going To Love These! 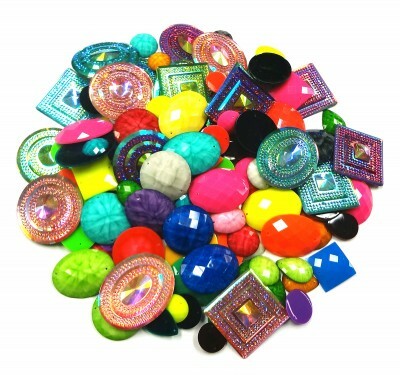 We are adding more fashion embellishments to our Carnival and Performing Arts section! 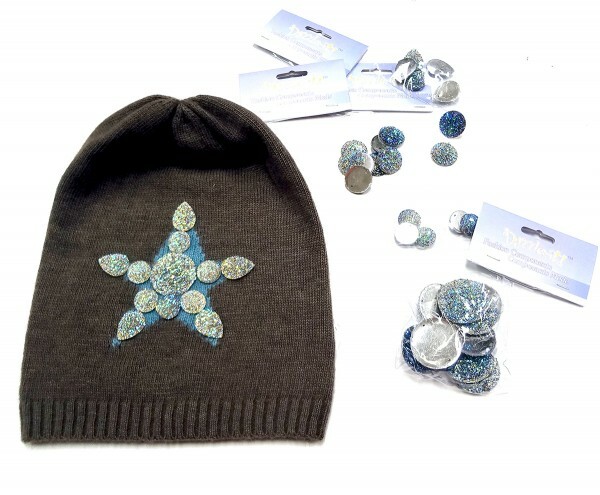 While all of these new items will look wonderful on a costume, crafty designers will also think of new and exciting ways to showcase these resin components in jewelry and clothing design. These are sold on 5 yard/4.5 meters spools.These are absolutely stunning in person! 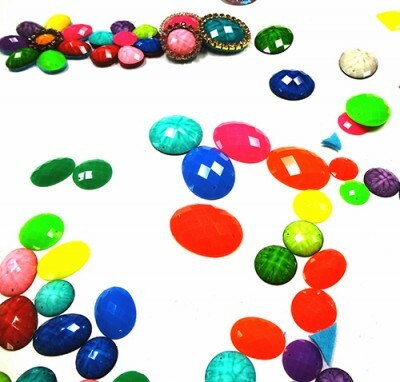 The color palette includes: Crystal AB, Red AB, Royal Blue AB, Pink AB, Turquoise AB, Aqua AB, Purple AB, Emerald AB, Marigold AB, Lime Green AB, Sun AB, Citrine AB. Introducing our new resin sew-ons: Gummy! These are available in a spike, drop and navette shape in several sizes. This new collection has a surface shape unlike anything we have shown before. They capture and reflect light brilliantly. 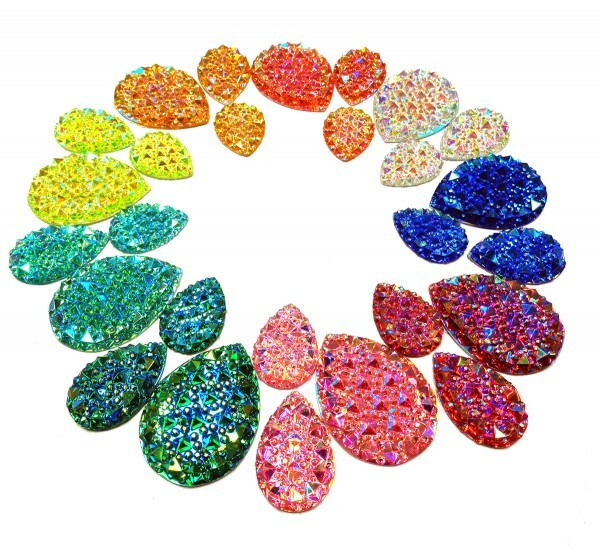 Your color options will be Citrine, Crystal, Emerald, Lime Green, Marigold, Pink, Red, Royal Blue, Sun and Turquoise. Introducing our new resin sew-ons: Metalico Stones. 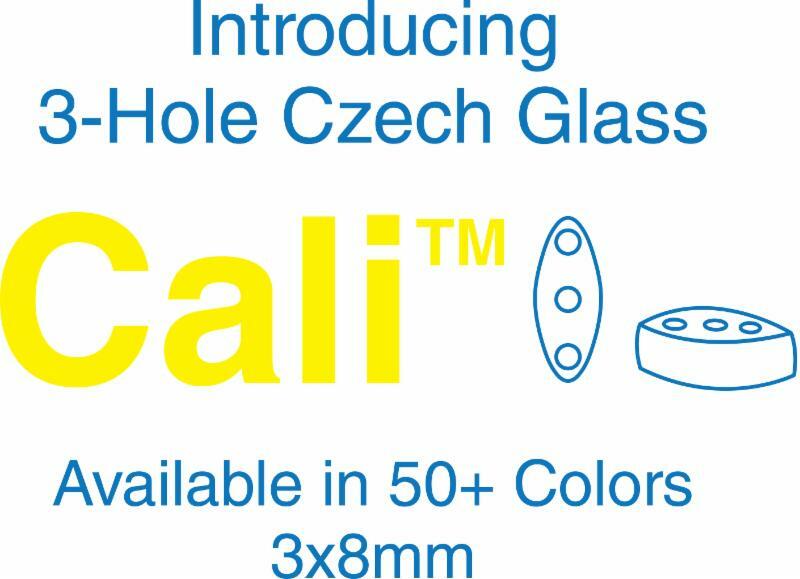 These are available in a rivoli, drop and oval shape in several sizes. These new resin stones feature a distinct faceted surface. 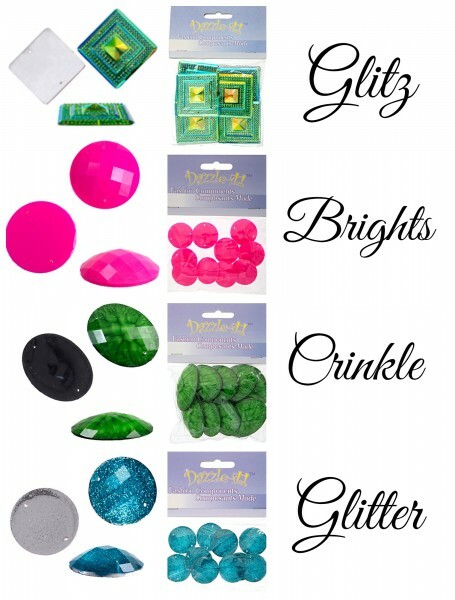 Your color options are Citrine, Crystal, Lime Green, Pink, Purple, Red, Royal Blue, Sun and Turquoise. 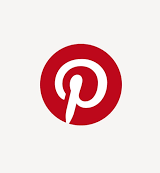 Author Carmi CimicataPosted on July 1, 2015 June 30, 2015 Categories Resin, Sew On StonesLeave a comment on New Resin Fashion Embellishments – You are Going To Love These! 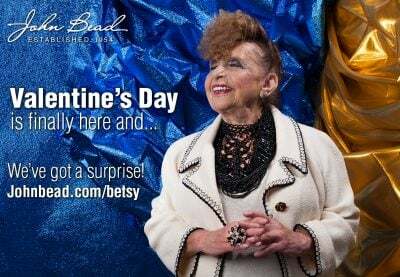 I wanted to share with you a brand new idea. 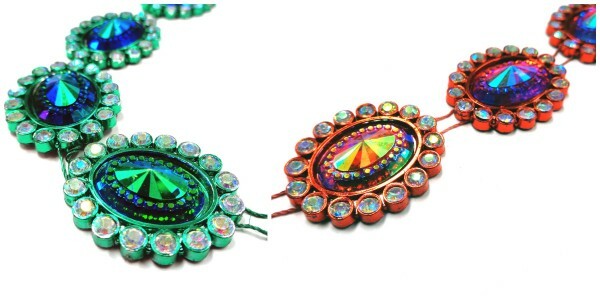 Soutache collars! They are very special because they have been creatively designed by Nancy Donaldson to work with new Metal Complex bezel snaps. Here is the first collar placed on the KLIK bezel. The simple yellow Dazzle-it resin stone looks amazing framed like this. Without Nancy’s collars, these would be simple and elegant components. This looks absolutely stunning now! 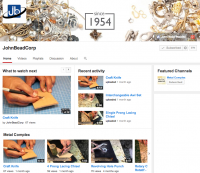 Currently Resin Crafts Blog and Metal Complex blog are featuring the work of 50+ artists who are each working in a unique snap bezel component designed by Metal Complex for their KLIK components line. 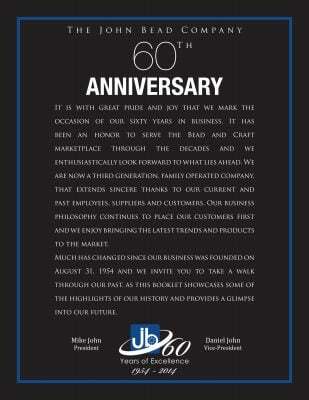 Take a peek here. Scattered throughout Nancy Donaldson’s summer blogging are beautiful photos of her works in progress. 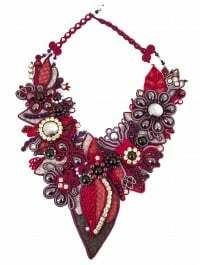 This gorgeous white soutache necklace is one that I finally saw in person yesterday. Just the gathering of supplies made for a lovely photograph. There is so much detail in this necklace. It would be so perfect for a bride...but even better for anyone wearing the classic summer black and white ensemble. 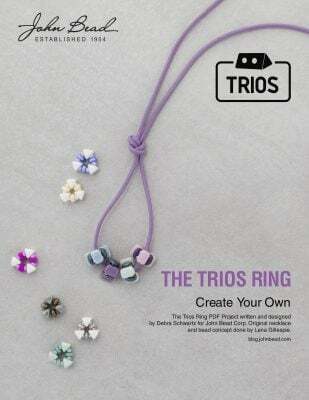 You can see all the soutache cord colours on page 11 of the online catalog. 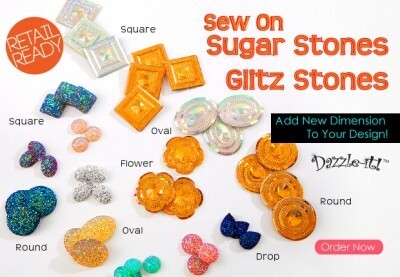 The sew-on stones in the Dazzle-it line are on pages 24-25. 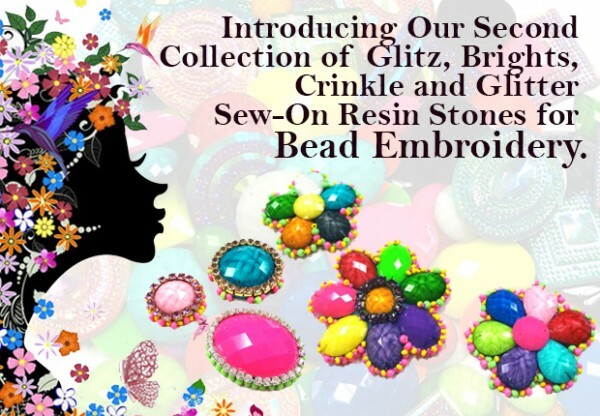 Our new collection of sew-on stones for bead embroidery has me happily beading! 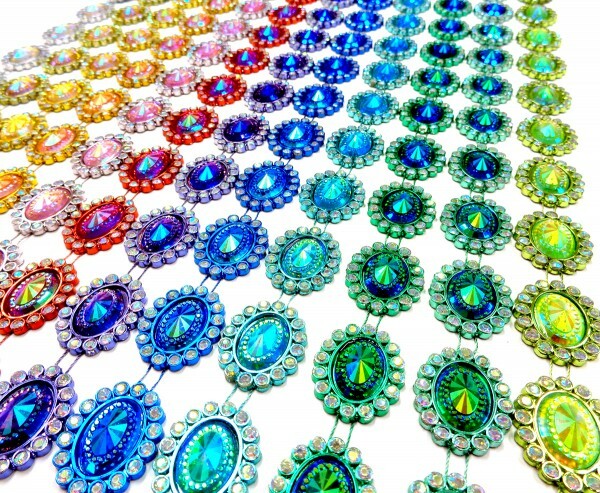 You will see a lot of these new stones appearing in beaded and soutache featured projects. 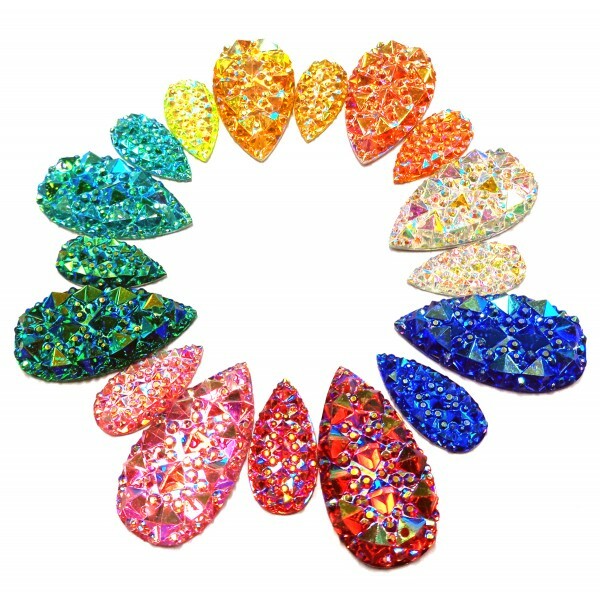 They are unique and on-trend cabochons in the hands of a designer. There are so many shapes to work with. The drops and circles are ideal for floral designs. My studio is full of colour and choice now. 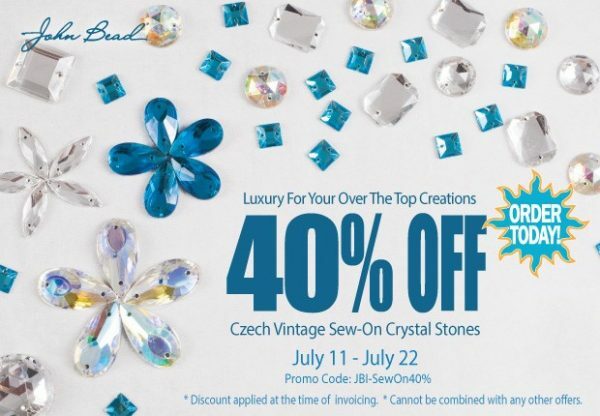 These sew-on stones can be glued in place and are creative options for jewelry designers as well as costume creators. 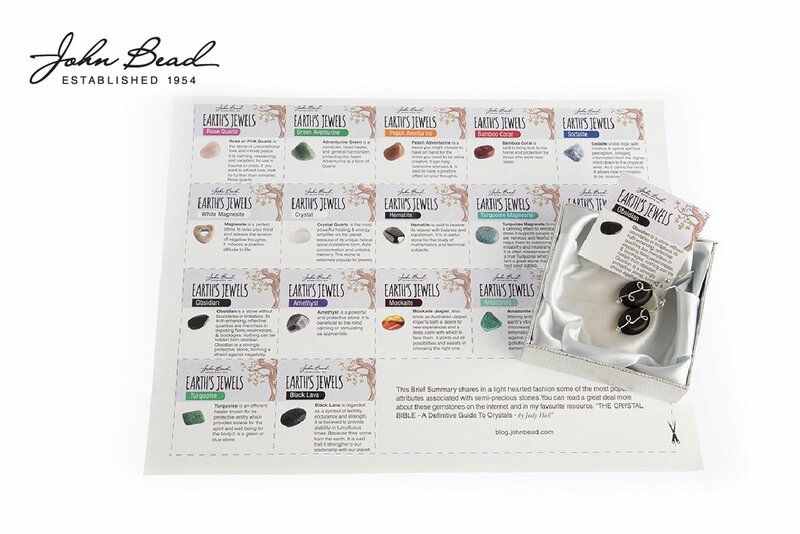 We already have an extensive collection of sew-on stones, but we could not resist expanding that line after reviewing all the new colour options. 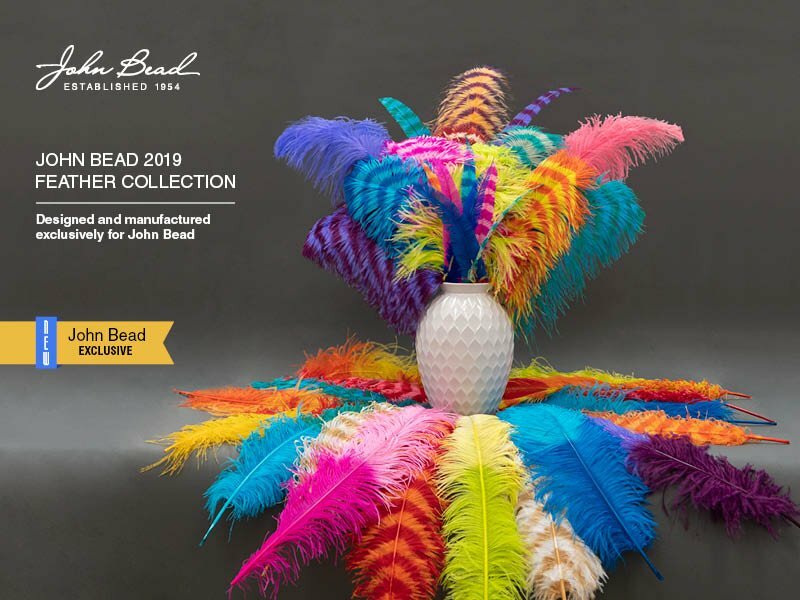 Bead embroidery enthusiasts and costume designers can now create wonderfully whimsical and creative designs in the latest trending shades. 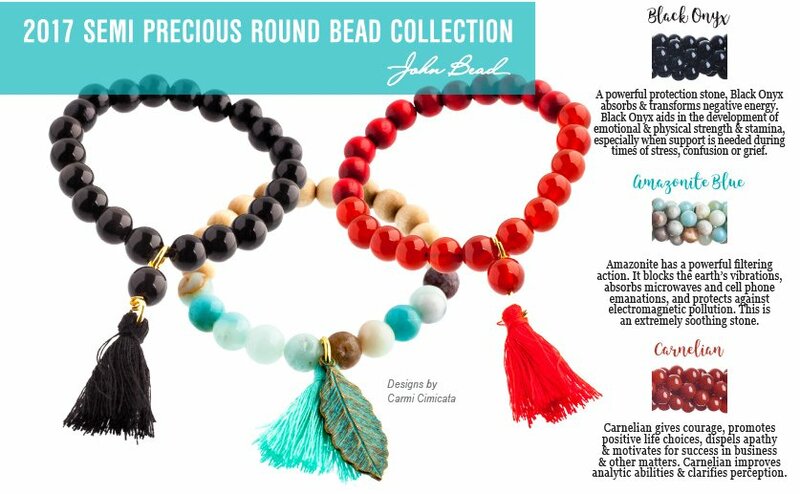 You will see a lot of these new stones appearing in beaded and soutache featured projects. 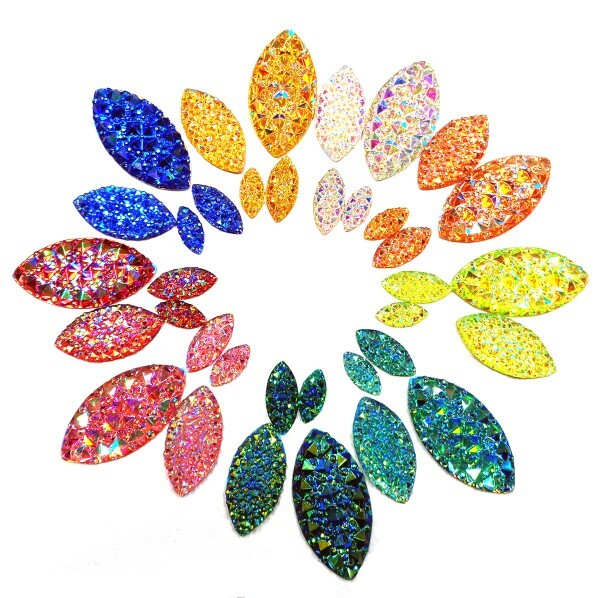 They are unique and on-trend cabochons in the hands of a designer. 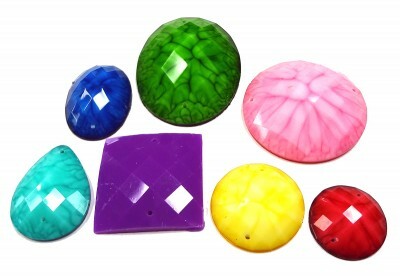 These sew-on stones can be glued in place and are creative options for jewelry designers as well. I live in the part of the world that is still expecting snow…even though spring officially arrived yesterday. 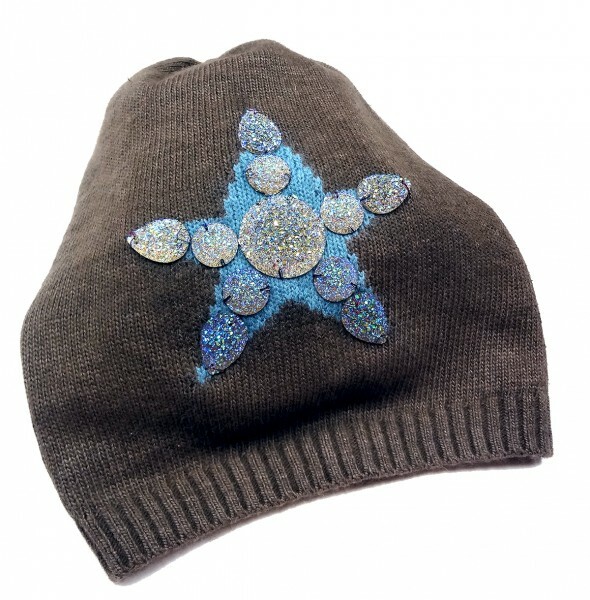 I am updating my hat with the addition of some gorgeous resin sew-on Sugar Stones. 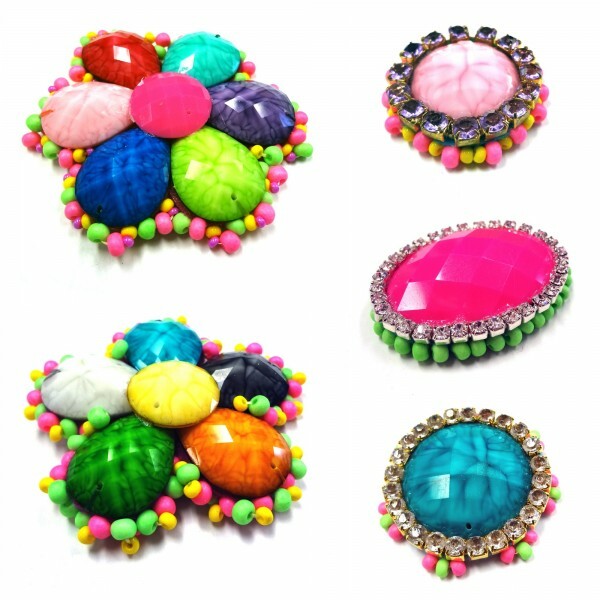 The new collection of Sugar Stones have me thinking about ways to embellish every item in my wardrobe! 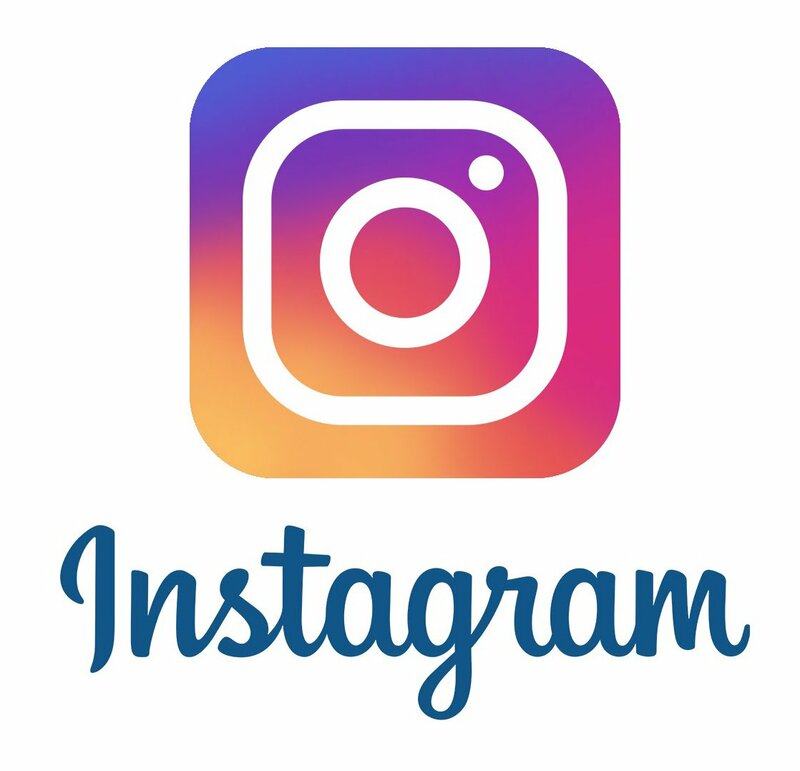 There are four shapes: round (3 sizes) oval (2 sizes) square and teardrop. There are eleven unique colours to choose from.